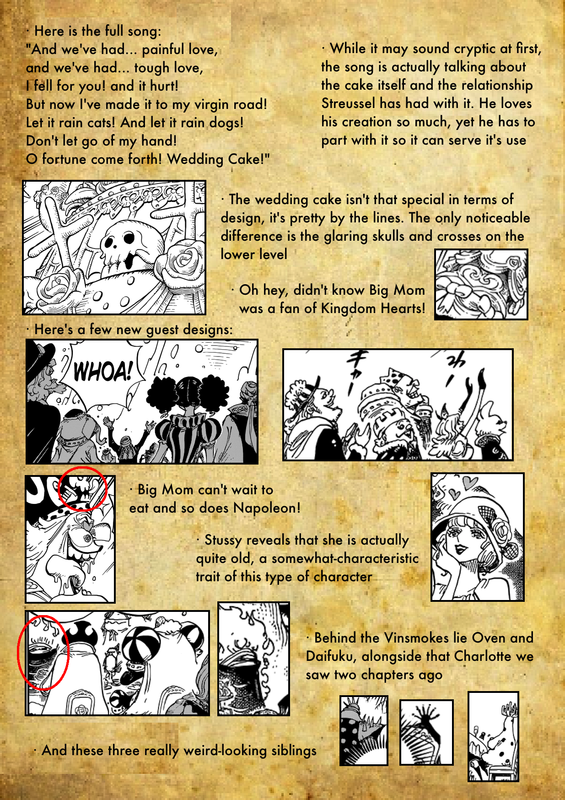 Really disappointed with how Pudding’s character went, but I must admit that I did enjoy the whole wedding sequence. 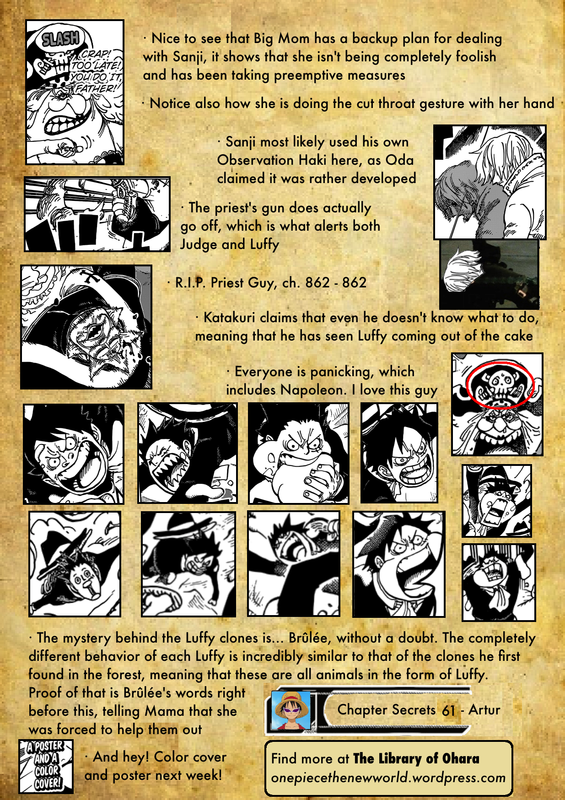 Would’ve been interesting if Sanji both dodged Katakuri’s bullet and kicked the priest as well, I think that would’ve been more exciting. Next Complete list of every single of the 600+ characters on this chapter’s cover! Excellent Job as Always! Man, Brulee’s legs must be so cramped! She’s gonna have trouble walking after all this. How exactly does Katakuri’s power work again? 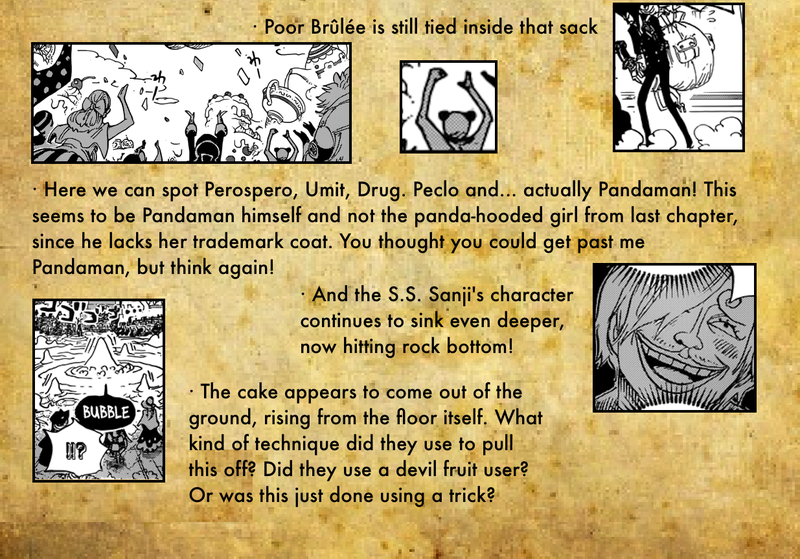 How was he able to see that Sanji would dodge the Priest’s shot, but not his own? Or did him taking action himself alter the future, and he wasn’t able to predict that new future fast enough? I hope it’s better explained later. That bit with the Cover Page is really interesting! 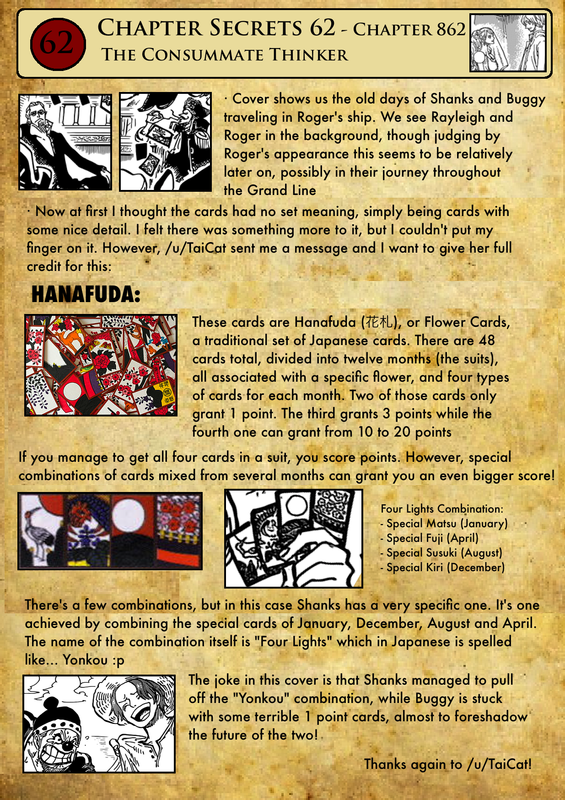 I too could tell the cards had some kind of meaning behind them, but I figured someone else would be able to make sense of them. Thx TaiCat!! 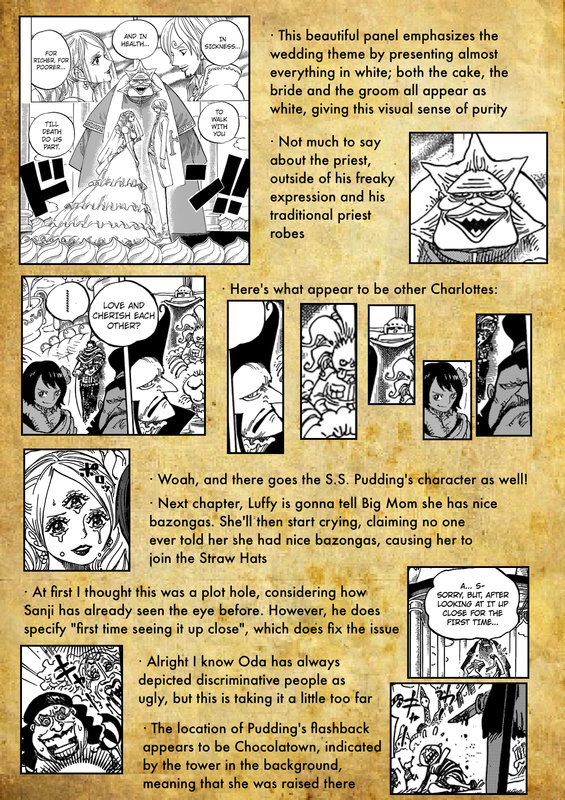 Pudding’s character got more depth I’m not complaining before this she was a generic evil people who would shut up about killing Sanji.